For the last year, I have consistently earned hundreds of dollars each month with one program. This program takes me VERY little time to work with. 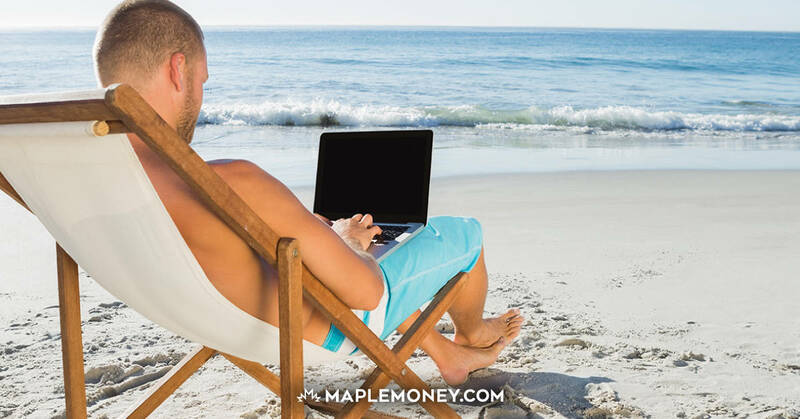 In fact, I probably spend less than 5 minutes per day on it – and I still make money every month! I don’t have to jump through any hoops to earn money. I don’t have to do any lying or scheming to earn money. But best of all – it’s actually FUN to earn the money each month! What is this marvelous program, you ask? Why, it’s Swagbucks of course! I’ve been using Swagbucks for a few years now and over the last year, I’ve steadily grown my income to hundreds of dollars each month (sometimes more!). The number one way I personally earn Swag Bucks is through referrals (thanks to YOU for signing up!). Also, each day I like to do the survey, and sometimes other small tasks to earn a few “bucks”. These small amounts add up over time, and coupled with the referral credits, I’m able to cash out for hundreds of dollars each month. Even if you aren’t able to earn hundreds each month – wouldn’t you love an extra $50 or $75 each month? It doesn’t take long at all to earn that much credit. Take a look at these 15 Ways to Earn Swagbucks and you’ll be well on your way to free money in no time! I honestly can’t even imagine not having Sawagbucks in my life. It’s been there for years, and my income has grown each year with it. I love it and can’t recommend the program enough! If you haven’t signed up to Swagbucks yet, click here to join! I disagree. You can only earn higher amounts if you spend most of your day on swagbucks. Average person might earn $10-$20 a month.